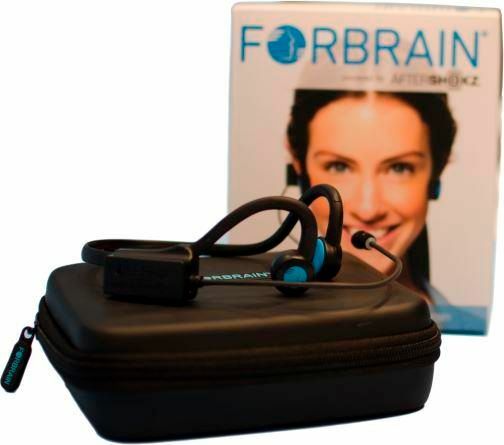 Sound for Life LTD has a really great and unique product called Forbrain. Last year, I brought you a review of how Forbrain has helped Mr. B. This year, I want to talk about how Forbrain has continued to help Mr. B, but also how it has helped Princess J who is now old enough to use this. A little background is both kids have autism. Mr. B's flavor of autism has him being EXTREMELY verbal, but he always had issues pronouncing some words, especially more complicated words like escalator. He also has issues in reading where he will either add in words, change words, or take out words. But as far as oral communication, he has been speaking in full sentences since he was about 3.5. Princess J, on the other hand, will turn 5 in just 3 months and she has yet to say a sentence on her own. I am a firm believer in echolalia as a tool to help otherwise non-verbal children with autism to build a bag of tools for their own vocabulary one day. I think it is a great trait for an autistic child to have, and parents and therapist can truly use it to their benefit to help the child learn to communicate effectively. Both Mr. B and Princess J have turned to echolalia as a means of communication and entertainment, and this is great for Forbrain! When they repeat words and phrases, even in a delayed manner like these two kids have always done, Forbrain hones in on specific sounds, and downplays ambient sounds with the dynamic filter, to produce a clearer sound than air conduction alone. And by use of bone conduction, the signals get sent to the brain much faster than by air conduction, so they hear themselves in real time, too. Forbrain shouldn't be worn for indefinite periods of time. Mr. B is older, so I allow him to wear his twice a day for 20 minutes, and a 3rd for about 10 minutes. He's 12. Princess J is only 4.5. She's at the minimum age for use, so she uses it much less right now. I've noticed personally, I get a headache if I wear it too much. So Princess J only wears hers for about 5mins twice a day right now. That's about all she can tolerate at the moment. Mr B has been a Forbrain user for around 18 months now. I've noticed a HUGE improvement in his overall enunciation, memory, and focus. He self corrects more now as compared to before using Forbrain, and the benefits we saw early on have only been amplified (see what I did there???) Words he had a hard time saying before, like Finger or Escalator, are now easily said because he would repeat them while wearing Forbrain to hear what his mistakes were. Now, I'm wanting him to improve his overall reading. He's bad to want to rush through it so he adds words, changes words, or skips over them. He may say ask instead of as, or out instead of on. Something small, but something that can really change the whole meaning of what he's reading. I have him read out loud while wearing Forbrain, and I have noticed a lot less mistakes in reading as a result. Princess J is largely non verbal. BUT, she does have echolalia beahviors. She will repeat phrases she hears in pre-school, or just at home, frequently. If she wants to say no, she will say something like, "No Samuel!" Because she hears the teacher tell a little boy no a lot in her school. For months, when she didn't want to leave her brother, she would say, "No B, stop pushing me!" Mr. B never pushed her. She heard me tell him to stop pushing against my hand when I was applying a medicine patch to his back. And she associated that with him. She will repeat songs she hears, and phrases from TV shows. While wearing Forbrain, she repeats these and hears herself. This has caused a large increase in her verbal sounds. She wants to hear herself more and more, so she is repeating more and more. This is actually great because she's starting to do it on command, too. Long term use of Forbrain has proven to be quite beneficial for Mr. B. I have noticed a huge improvement in overall speech and enunciation. His reading skills have improved, his overall focus is better, and I've even noticed less sensory seeking behavior. Princess J has become more vocal during the review period, and she has become more outgoing and less reserved and held back. I expect to see the same benefits, and an increase in purposeful speech from her with long term use. Overall, Forbrain has been great for these two. I think it would be a great tool for apraxia drills and even social communication therapy. It even has applications for learning disabilities, specifically reading difficulties. Please click the banner below to read more reviews by the Homeschool Review Crew.